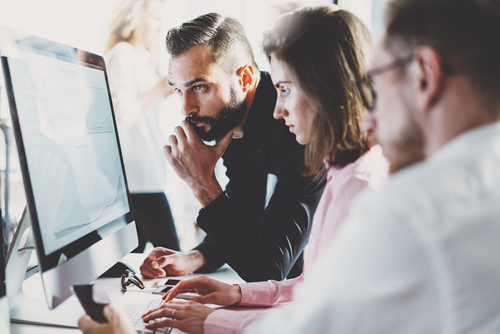 If you’re considering SEO as a new way to gain exposure and generate profit for your business, then you’ve already begun making the right choices. SEO offers businesses a unique opportunity to appeal to new clients searching for specific words and phrases. These words and phrases are called “keywords”, and they are a fundamental part of the SEO process. 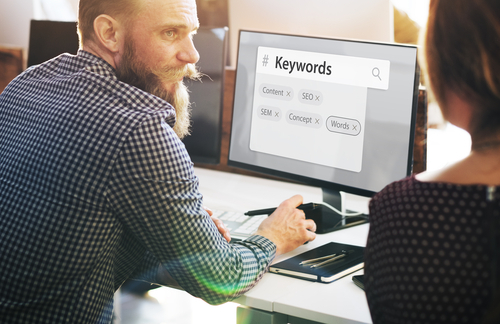 In this blog post, we’ll discuss what a keyword is, and how it fits into your SEO campaign. Whenever you search for something on Google, you’re using a keyword. Keywords can be anything– a name, city, product title, colloquial phrase or industry-specific term. The primary goal of SEO is to rank for designated keywords that are relevant to your industry. As far as your business is concerned, your target keywords should be the phrases that your audience is searching to find your website. For example, if you operate a small pet store, then you’ll want to rank for keywords related to this. “Dogs for sale”, “Food for turtles”, and “Long dog leashes” would likely be your target keywords. With the right keywords, your company will earn new business by ranking highly in these Google searches. SEO would be your method of achieving these rankings. Keywords are one of several ranking factors that Google uses to determine search results. Long-tail keywords also have a unique place in your SEO strategy. These longer phrases are more specific, and generally have fewer searches. But, people who are searching for them have more knowledge on the subject, and consequently, a higher chance of converting. So, ranking for these long keywords is quite valuable. The ultimate goal of SEO is to rank for these keywords. With the right strategy and execution, your website can reach the first page for industry-related keywords. Every successful SEO campaign starts with thorough keyword research. This process should begin with the obvious factors: what terms do customers associate with your business? Thinking critically about customer intentions goes a long way. From there, though, the process becomes more involved. Ranking for keywords that you think customers are searching for is one thing. But, ranking for keywords that customers are searching for is the only priority. With keyword search volume in mind, the next step is to select keyword variants that are relevant to these keywords. Keyword variants fit the same purpose as the root keyword, but with slightly different phrasing. Google’s algorithm understands synonyms. Writing content with these keyword variants creates a more natural flow. To take full advantage of the possibilities at your disposal, robust keyword research software is critical. Advanced platforms offer insightful analytics that have a high impact on the decision making process. As a Long Island SEO company, we have experience conducting this process for a wide range of clients. Conducting keyword research is only half of the SEO battle. After compiling a detailed and structured keyword list, we find the best way to integrate these keywords within the website. First, and most obviously, it’s important to incorporate keywords when writing blog content, which is a critical part of the SEO process. If you’ve ever hovered over a link with your mouse cursor, you’ve likely seen text that describes the content of the link. This is called title text. Including keywords here describes the nature and purpose of the link to Google. The meta description of a webpage describes to Google the purpose and intention of the webpage. This brief snippet should contain the target keyword. Your website’s pages should be named with target keywords in mind, especially for location-promoting websites. Clear and concise headings give readers important details about the content that follows, allowing for a skimmable experience. Integrating keywords in these headings informs Google about the topic of your webpages. Keywords can vary drastically. Based on the perceived intentions of the searcher, keywords generally fall into one of three categories. Navigational: Navigational keywords help searchers to find a website that they already know exists. For example, searching “Bank of America” to find Bank of America’s website would be a navigational query. The searcher is clearly already aware of the financial institution, and is only searching to find the website. Transactional: Transactional queries demonstrate that the searcher intends to make a purchase, or fill out a form. For example, searching for a product, like “iphone 6s charger” or “smart fridge”, indicates that the customer plans to take the next step. Local businesses may receive searches like “electrician Long Island”. Informational: Informational queries show that the searcher is searching for knowledge on a subject. This could mean that they are looking for facts, guides, infographics, or other information. 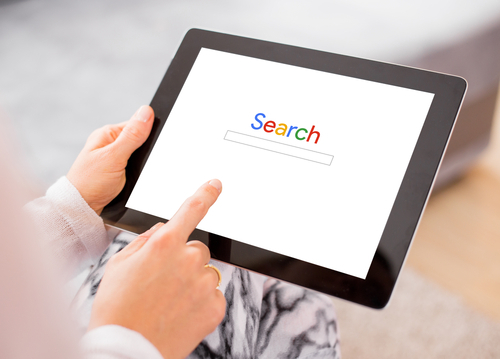 Providing searchers with this information could establish your company as legitimate, and compel searchers to take action. Writing with keywords is important, but overusing keywords is a misstep. It’s a common misconception in the SEO community that excessively using keywords will draw more traffic. This tactic, often called keyword stuffing, may be successful in the beginning. But, as Google gradually recognizes that this content is filled with artificially used keywords, the website will receive a penalty. This will be a major setback for SEO goals. So, taking the time to write quality content that serves a purpose, while also integrating keywords, is the goal. Rather than engaging in these potentially dangerous tactics, focusing your efforts on what’s best for the user goes a long way. A results-driven keyword strategy is the foundation of any SEO process. Through the right research methods, you can find the keywords that will help your website to generate profits for your business. 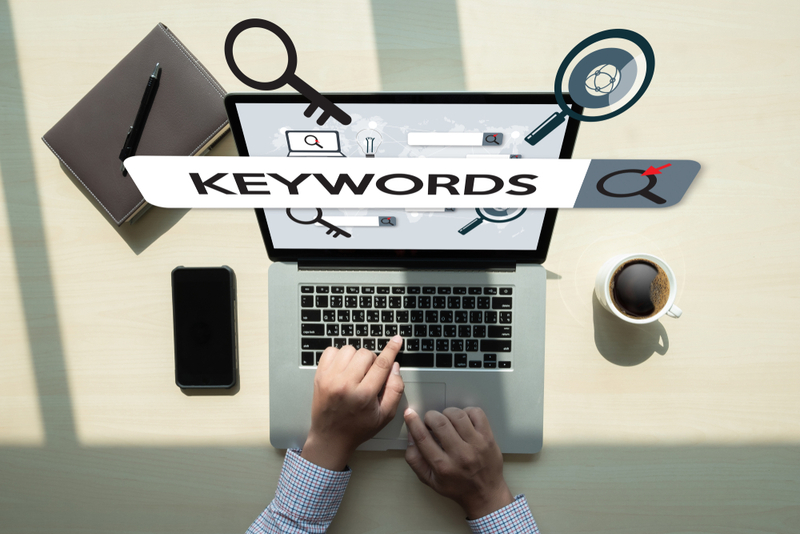 Implementing this keyword strategy carefully will yield long-term benefits, with years of positive search results to come. At Long Island SEO, our goal is to guide clients through this process. Our versatile team can handle every step of the process, and expose you to myriad new customers.